There was good news for Manchester Township school officials but not in Brick as a result of yesterday’s special referendums on building and renovation projects in the two school districts. Manchester voters by a solid margin approved a facilities project that was scaled down from two previous unsuccessful attempts and will see nearly 30% of the cost paid by state funding and energy grants. The news in Brick was discouraging for as all four questions in the proposal were voted down by nearly a 2-1 margin. I personally received feedback from my segment yesterday in which I strongly endorsed the passage of the referendum, especially dealing with the improvements at Brick Township High School which is more than 50 years old. Several people wrote or called me to say they had no confidence in the Board of Education and questioned why officials had allowed conditions to deteriorate over so many years. It seems there are big problems here and the real losers are the children in the district now and the ones coming through in the near future. Let me plug a couple of fundraisers and events coming up Friday. The Beach Bar on the boardwalk in Seaside Heights will be the site of “Cocktails for a Cause” as part of LIVESTRONG Day, the Lance Armstrong Foundation’s one-day initiative to unite people affected by cancer. Lori Ditzel has organized the event to raise money for The Cancer Institute of New Jersey Foundation as well as the Lance Armstrong Foundation. It starts at 5pm with free admission; free food, drink specials, auctions and 50/50’s….donations are encouraged. Martell’s Waters Edge in Bayville will be the site of a Friends of Central Regional Football Night from 6:30-10:30 featuring a Backyard BBQ. Tickets are $25 each and you must be 21 years old to attend. You’ve no doubt heard the expression….”chip off the old block” or “the apple doesn’t fall far from the tree.” Yesterday my daughter Alex called to inform me that she was voted “Most Talkative” as part of the senior class favorites at Toms River South. She thought it was funny because her brother earned that same distinction six years earlier. What I thought was more interesting that 36 years ago while a senior at Central Regional High School I was voted “Class Bigmouth” which is really the same thing. There will be special referendums in both Brick and Manchester today on school construction and improvement projects that are badly needed and deserve the support of voters. That’s a bold statement in today’s economy but in case of both, school officials have been more than willing to show the public why the proposals should be approved. Voters in Brick are being asked to support a $172 million referendum which will find state grants paying for $57 million of the work but only if approved this year. All 13 schools in the district will receive improvements and voters are being asked to decide the fate of four questions dealing with safety and security, energy and efficiency, expansion of the Primary Learning and Education Enrichment Centers, and desperately needed renovations at Brick Township High School. In some cases students and staff are working in conditions that have deteriorated over decades and are simply not safe and healthy. School officials have offered tours so the public can see the referendum is not for luxuries but absolute necessities to maintain a learning environment that is appropriate for everyone. It’s fair to say at some point in the near future this work will get done but not with the grants from the state. Polls in Brick will be open from 11am to 9pm. Manchester Township officials are asking for support of a revised facilities project from one that was voted down earlier. The total cost is $8.3 million but state funding and energy grants will pick up 29% of the cost so the local tab is less than $6 million. The project includes roof repairs, carpeting replacement, school buses, repairs and improvements to the high school auditorium and athletic areas, security upgrades and installation of solar panels. Voters can cast ballots on the referendum between 2:30-9pm. It would be easy for voters in both Brick and Manchester to simply say “no” because nobody wants to pay a penny more in taxes. However that would not be fair to the students in those districts today and the ones coming along in the near future. Safety and security, plumbing and electric that work, windows that open, buildings that are not falling apart. This is really not too much to ask. A “yes” vote is the right vote. For the most part it was a very good weekend for the local pro teams, highlighted by the Yankees clinching the AL East title after a weekend sweep of the Red Sox. If I were a Yankee fan I would leave my calendar open for the early part of November to attend the victory parade down the “Canyon of Heroes” after they win their 27th World Series title. Meanwhile the Giants & Jets both improved to 3-0 with wins on Sunday…is it too early to start talking about an all-New York Super Bowl showdown? My sports weekend was ruined by Penn State’s dreadful loss to Iowa on Saturday night in not-so-Happy Valley. Oh well at least my bubble was burst before I could get really excited about a special season. Because it was Saturday night you might have missed the fact that Monmouth University handed previously undefeated Old Dominion at 31-28 loss before more than 19,000 fans in Norfolk, Virginia. That was a great win for the Hawks, who have a bye this weekend. One of Ocean County’s true good guys will be honored by the Girl Scouts of the Jersey Shore at their 26th Annual Award Luncheon. Gateway Toyota-Scion Vice President and General Manager Ed Sunday is this year’s honoree and I will have the pleasure of serving as Master of Ceremonies for the October 22nd event at Woodlake Country Club in Lakewood. Through the dealership Ed is a supporter of many worthwhile causes and organizations and especially those that benefit children so he’s a natural choice as the Girl Scouts honoree. Thursday was a stark reminder that being a police officer means you go to work each day not knowing what to expect. Four members of the Lakewood Police Department were shot while executing a search warrant and for all but one the injuries don’t appear serious. By the way two of the cops were helped by the fact they were shot in their bulletproof vests. It does make you think about what law enforcement officials face on a daily basis and the burden that’s often placed on their families. The Borough of Beachwood will hold its annual town wide Yard Sale this weekend. Participants, including my family can be identified by balloons which will be displayed on their mail boxes. Please stop by and purchase everything. This is the first weekend of fall and according to Alan Kasper it will feel very fall-like at high school football games. Tonight the Shore Sports Network will be at Toms River East’s Dvorak Field as the Raiders host cross-town rival Toms River South. The game features two of the most exciting players around in East’s Nico Steriti and the Indians Rob Whitfield. We will broadcast the game on 105.7 The Hawk, 1160 WOBM AM and Fox Sports 1310. Tonight’s other key games include Howell hosting Jackson Memorial, Brick is at Middletown North, Monsignor Donovan plays host to Point Beach, Barnegat entertains Pinelands and Manchester travels to Ocean. My predictions on these and all the other games involving teams from Ocean and Monmouth County appear in today’s Asbury Park Press where I’m putting my reputation on the line against six of their sportswriters. I am in last place after two weeks but there’s a long way to go. There will be a couple of golf outings on Columbus Day, October 12th that will help benefit high school athletic programs. The football and baseball programs from Central Regional will hold their Fall Golf Classic at Cedar Creek Golf Course in Bayville. Meanwhile the Toms River East Parents Baseball Association and Toms River South Diamond Club will hold their 5th annual outing at Sea Oaks Country Club in Little Egg Harbor. It’s apparent that drastic changes are taking place in public education in New Jersey and while some will fight it I would imagine at the end of the day they’ll need to accept it. The focus in going forward is to consolidate smaller districts which are just not cost-effective…and make no mistake about it money is what’s going to rule the day. I know many find charm in small schools and nobody would argue the fact that you probably get a better education when there are 15 students in a class as opposed to 35. However taxpayers in this state more than anything else are demanding efficiency and it’s hard to argue that all these small school districts are just that. Let’s face it we have so-called districts that are made up of a single elementary school yet retain their own Superintendent and Board of Education. Public education officials in New Jersey want them to merge either with an existing school district or even form their own larger one. In that scenario you would eliminate considerable costs and increase efficiency. The push out of Trenton is to also do away with districts that are made up only of elementary schools and ultimately have them all part of ones that include Middle and High Schools as well. These initiatives are being met with a lot of obstacles because there are many situations where people want to retain their small school status. It may be what attracted them to a community in the first place so it’s hard to accept that changes are coming but in the end fiscal responsibility is going to the main factor and in most scenarios the taxpayer will be better served by fewer districts and less administrative costs. One of the most interesting developments to watch in our area is what happens with schools in Point Pleasant and Point Pleasant Beach. There has been talk that these two might merge, especially when you consider that the high school in the beach is among the smallest in the state. Neither town wants this to happen and it may take years but it does appear inevitable because change is coming. before something comes in my head which will later come out of my mouth. Let’s face it, this is a great responsibility. A couple of minutes twice a morning on this radio station to say anything I want….within reason of course. I don’t have to worry about listeners being upset and complaining to the boss because in most cases that complaint would end up coming back to me. Say for example I offered opinions which ticked you off so much that you had to express your feelings. So you call the office during business hours and Joyce answers the phone. As she does often she then listens to you go on and on and finally asks “do you want to speak to Kevin because he’s here pretty much 12 hours every day.” You say no but you would like to speak with someone. She might offer the Program Director but he is usually very busy so the best you can do is leave a message in his voicemail. “what about our Vice President of Quality Control? This seems like the right person to speak with because as far as you’re concerned what I said and talked about did not have much quality and this is what you want to address. Anyway you are now directed to the newest company Vice President at Millennium Radio but when your call is forwarded you are greeted with, “Kevin Williams, can I help you?” You are now ticked off at Joyce because you think she made a mistake so you quickly have to make a decision. Do you speak with me even though you don’t want to or do you simply tell me it’s a mistake and you got the wrong extension. You think for a split second and then decide to weasel out and simply hang up. By the time you recover from this you conclude that it wasn’t worth all the hassle. That’s the secret to me still being on the air…the complaints never get past me. For a long time New Jersey has been the brunt of many jokes from its mob image to just being the place that sits between New York City and Philadelphia. Making fun of the Garden State could be heard during the opening monologues of talk show hosts and was a staple for stand up comedians. For a while some of that went away and it seemed like many had discovered that there was more to New Jersey than just Newark, Camden and unsightly oil refineries and a large part of the state was a very desirable place to work and raise a family. That rosy feeling has pretty much gone out the window with recent developments and don’t expect the two major candidates for Governor to do anything to help our image. Have you paid any attention to the November race between the Democratic incumbent Jon Corzine and the Republican challenger Chris Christie? If you have then you know that the state Chamber of Commerce will have a hard time selling New Jersey once the dust has settled because these two guys have done more to hurt our image than Tony Soprano and his entire family. They have combined to raise the negative quotient on how we feel about politicians to a new low which is not easy to do since the bar has already been set so low by others. The problem is one of them will win and sit in Trenton and based on what we’ve heard so far that’s a bad thing. The good news is the other might go away for good which would be one less reason to make fun of New Jersey. I’m sure many of you were not able to stay up to watch the entire Giants-Cowboys game last night but watching Dallas owner Jerry Jones suffer over the last second loss was pure joy. NBC’s broadcast was as much about Jones and the new Cowboys Stadium as it was about the football game on the field. Jones actually got more face time then either of the quarterbacks…the cameras even caught him picking his nose. The Giants blew a lot of early opportunities but Eli Manning was great on the final drive that resulted in the winning field goal. Coupled with the Jets win over the Patriots earlier it made for a terrific Sunday for fans of the two New York/New Jersey teams. I attended the Monmouth University football home opener Saturday at Kessler Field and the Hawks came through with a victory over Duquesne. I was really impressed with the atmosphere at the game and it’s a great way to spend a Saturday. There were people tailgating in the parking lot…we even visited with the family of offensive lineman Mike Murphy, a Toms River East graduate. Took a walk through the now completed Multipurpose Activity Center which is nothing short of spectacular and should help elevate the entire athletic program. I was going back and worth between the Giants game last night and the Emmy Awards which frankly were pretty boring. Problem is too many of the same winners from last year won again plus many of the winners were from cable shows that are unfamiliar to many of us. Neil Patrick Harris is a surprisingly good host but the show was kind of a dud. Speaking of TV, many of the prime time shows make their season debuts this week. “Accidentally on Purpose” and “Trauma” are new shows that air this evening along with two of my favorites….”House” and “Castle. It’s the second week of the high school football season and one that stretches from tonight through Saturday because of the Jewish holiday Rosh Hashanah. Usually by the end of the second weekend you have a pretty good figure on what the season will bring and there are several games that will go a long way to telling us which teams might be contenders and those that are simply pretenders. Take for example the Green Dragons of Brick. They opened the Patrick Dowling era with a solid win over Colts Neck but we don’t know if Brick is a good team or Colts Neck is one that will struggle. We will find out a lot more about the Dragons when they host Ocean tonight because the Spartans are coming off a win over Neptune and should be a title threat in the Liberty Division. Southern Regional had a magical fall in 2008 but most of the pieces of that team are gone and they were soundly whipped by Toms River East last weekend. The Rams opponent tomorrow night in Manahawkin will be Brick Memorial, who dropped a heartbreaker to Sayreville in their season opener. This is a very big early season game for both teams. Speaking of Toms River East….Nico Steriti and company head to Lacey for a Friday afternoon Constitution Division contest. Steriti ran for over 200 yards and 4 touchdowns against the Rams and in the Lions will meet a team coming off a shutout loss to Middletown South in their season opener. Lacey’s problem in that game was offense…or should I sack lack of offense as they managed just 49 yards. One of the weekends top games should be tomorrow night’s Manasquan at Point Boro clash that will be broadcast on our Shore Sports Network. It’s the season opener for the Big Blue Warriors, who are expected to be among the shore’s top teams. The Panthers lost to powerful Long Branch in their season opener. The game can be heard on 105.7 The Hawk; Fox Sports 1310AM and also will air on 1160AM if the Lakewood BlueClaws close out the South Atlantic League Championship series tonight. By the way Pt. Boro coach Calvin Thomspon will be among our guests tonight on the “Thursday Night High School Football Show” at 6pm on 1160/1310AM and broadcast live from Boston’s Restaurant and Sports Bar in Toms River. You can get my predictions on all the weekend games in the sports section of the Asbury Park Press. I have to find a better picture. When I borrow material from another source for use in this segment I always give credit because it’s the right thing to do and frankly I’m not all that creative. A piece titled “8 Lessons All Dads Should Teach” caught my attention in this month’s MEN’S HEALTH magazine. 1. Words are valuable. Your kid is listening so speak up. In families with two working parents, fathers have a greater impact in their children’s language development by age 3 than mothers do. 2. Tantrums earn you nothing. When your kid starts carrying on, be calm and attentive but don’t give in. Show you won’t be rattled and the child won’t win…ever. If may take a few tantrums but eventually this method will work. 3. Competition leads to confidence. It’s natural by age 4 for children to start competing with their parents, even if it’s just a short sprint to the car. Let them win most of these early but then pick up the pace and show them you have to work hard to have success. 4. Quitting is hard. Show kids the pain in quitting. An example would be if they want to leave a team then make them do so publically in front of their teammates and coach. Or of they find a school project too difficult then suggest they tell the teacher they can’t do it and will take a poor grade. Likely they will find a way to work though this. 5. Other people’s feelings matter. Get their perspective on things and try and make them think. 6. Fights can be resolved. The idea is to make them think about compromise and not simply take their side every time. 7. Independence is earned. Say they want to stay out later than their normal curfew. Ask them what is a good time and if you don’t like the answer than say no. Children develop stronger morals when parents give them freedom and responsibility. 8. Success requires focus. Make sure your children know your expectations. Celebrate improvement and let them focus on mastering one skill at a time. This much I can guarantee…..the Lakewood BlueClaws will play their final home game of the season at FirstEnergy Park tonight. The BlueClaws captured game one of the South Atlantic League Championship Series Monday with a 6-3 victory over the Greenville Drive, the Class “A” affiliate of the Boston Red Sox. Anthony Gose and Harold Garcia homered for the BlueClaws, who will host game two in the best-of-five series tonight before the series shifts to Greenville, South Carolina. Tickets for the 73rd and final home game of the season are available by calling (732) 901-7000, on line at blueclaws.com or at the box office tonight. When I started at WOBM in 1979 one of the first athletic directors to reach out and offer any help they could was Brick Township High School’s Harold Handchen. He was the school’s first athletic director, serving from 1958 until his retirement in 1982 and in those 24 years he coached and was involved in several sports. Among Hank’s passions were playing golf and the Lions Club of Brick where he served twice as President so it was only natural then when he passed away they would host a golf tournament in his name. The second annual Hank Handchen Memorial Golf Tournament will be held on Monday, September 28th at the Lakewood Country Club with proceeds benefiting scholarships to high school students in Brick Township. On Thursday, September 24th the Poland Springs Arena at the Ritacco Center will host College Night at the Jersey Shore from 6-9pm. Admissions representatives from more than 100 colleges are expected to be on hand and there will be free seminars on financial aid and other issues important to prospective students and their families. The event is being presented by the Ocean County Professional Guidance Association in conjunction with the Toms River Regional School District. I don’t go to a lot of professional sporting events in person for two reasons. One is that I prefer to watch games in the comfort of my own home on TV and the other is that in many cases going to a game becomes an all-day event because of the travel involved. With that said I still accepted an invitation from my brother to attend yesterday’s Giants-Redskins game in the Meadowlands on the opening Sunday of the NFL season. I did so because not only did he get the tickets but they were for a luxury suite complete with food and drink. For years I have said that football is truly our national pastime and when you attend a game in person you become more convinced than ever of that. Where else can you see grown men (and women) dressed at times more appropriately for Halloween than a Sunday sporting event? I have never been one to wear jerseys of my favorite teams feeling that once you get to a certain age its best left for younger fans. But as you walk through the parking lot at Giants Stadium it’s apparent that not wearing a jersey has you in the minority as fans of all ages and sizes wear the number of their favorite players, past and present. You still see a few #58’s for Lawrence Taylor and 11’s for Phil Simms on some of the older fans but the most popular seem to be Eli Manning’s #10, Brandon Jacobs’ 27 and the #72 worn by Osi Umenyiora. Football fans love to shout and scream and make a lot of noise. While a couple of cold ones in the parking lot may fuel their fire a game is more than anything a chance to escape reality. For those three plus hours you’re in the stadium you are not a teacher, lawyer or construction worker but a Giants fan, surrounded by about 77,000 of your friends. You might have been miserable when you woke up and you might be miserable when you go to sleep but cheering for your team from 4-7pm is pure joy. That’s football. I am not one of those passionate Giants fans. While “Big Blue” is my favorite NFL team I call myself more of a “rooter” than a fan. What I did enjoy yesterday was being with my son and brother in a suite with plenty to eat and drink and TV’s to watch the other NFL games as well. I was wearing a Monmouth University Football golf shirt….at least its blue. Often the opening weekend of the high school football season features heat, humidity and a threat of thunderstorms. Obviously that will not be the case tonight when the 2009 season kicks off….a bigger question might be just who will play as a dismal forecast threatens the 19 games that are scheduled to open the season. As a sports purist I’ve always said football was made to be played in all kinds of conditions and the game should go on as long as safety is not a question. However I’ve started to look at the other side as a high school football game is often an event that includes other facets of the school community. Opening night is supposed to be somewhat special and for all the time and effort that goes into it to play one of your 4-5 home games in dreary conditions with only a few hundred fans seems a shame. If things do go off as scheduled than tonight features some very interesting openers with many eyes focused on Keller Memorial Field at Brick Township High School. That’s where for the first time since the school opened in 1958 someone other than Warren Wolf will roam the sidelines as the head coach of the Green Dragons. The man following the legend is Patrick Dowling, who was not a popular choice among many of the faithful as the replacement for New Jersey’s all-time winningest coach. But that is now history and Dowling is excited about running onto the field tonight as Brick entertains Colts Neck, a team with its own new coach in Greg LaCava. Week one also features a host of games matching Shore Conference teams against those from the Greater Middlesex Conference…a one-year experiment that will hopefully benefit both and avoid one-sided games. However I’m not so sure fans will really care about games against teams they are not familiar with. Brick Memorial hosts Sayreville in what is a rematch of last December’s Central Jersey Group 4 championship won by the Mustangs. Other openers of special interest tonight include the annual meeting between Toms River North and Toms River South at the home of the Indians and Lacey traveling to Middletown South in a matchup of perennial shore powers. When your youngest child is a high school senior you quickly realize that as a parent you are experiencing things that had become routine for the final time. Take for example last night’s Back to School Night at Toms River High School South. When it was over I said to my wife that this was the 26th and last one we would attend….13 for each of our children. We thought about it and concluded that I had missed two of the 26 for work-related reasons while my wife made each and every September visit. By the way I don’t really know what other high schools do but I can’t imagine there are too many that can duplicate the atmosphere that comes with Back to School Night at TR South. During the entire evening the cafeteria is jammed as many school-related organizations sell everything from clothing to tote bags with slogans and themes. It’s not only a great fundraising tool but is a terrific show of school spirit and helps set a tone for the new year. As we embark on another year of high school sports it’s a good time to draw attention to someone who is often an unsung hero and vital to coaches, athletes and even parents. When I was in high school you did not have Athletic Trainers and most of the routine stuff like taping ankles and handing out bandages was left to coaches. Today the Athletic Trainer is often as important to a team’s success as their leading scorer. Not only do they treat the injured but they help prevent them from happening in the first place and they work closely with all parties involved, including doctors. We have some truly great ones in Ocean County as many of our schools were way ahead of the curve when it came to hiring full-time Athletic Trainers….I stress the word “athletic” because these trainers are not to be confused with the ones at your gym. One of those who has been around for a long time is Southern Regional’s Joe Caucino and to Amy Johnson he is a savoir. She has twin sophomore sons who play football for the Rams and during a scrimmage two weeks ago one of them suffered a Grade 3 laceration of his spleen. In a letter written to Superintendent Craig Henry, Johnson praises Caucino for not only his quick actions in treating her son but the calm manner in which he explained everything to her before Alex Scherzer was transported to the hospital. The appreciative Mom also went out of her way to praise the Southern coaching staff for their concern and support. Alex by the way is home and doing better although his football season is over. However because of Athletic Trainers like Joe Caucino his future is bright. Did you ever wonder if what you are thinking is shared by others or simply your own thoughts? The day after Labor Day needs a special name because maybe more than any other single day of the year it signifies this great transformation. We call Labor Day the end of the summer season because officially there is still two more weeks of summer before autumn arrives. However for the masses all traces of summer have pretty much ended and this is especially true if you have school-age children. As I get older I seem to spend more time on this subject but it just amazes me how in that one day you go from what might be your summer routine to one that is all together different. Let’s say Monday had been a really nice day. Many would have gotten up in the morning and prepared for a day on the beach. Packed a cooler, loaded up the car with chairs, an umbrella, the kid’s accessories, etc. You spent several hours on the beach sitting with friends, swimming in the ocean, reading a book…all the things you had done many times over the previous couple of months. Then BAM you get up Tuesday morning and that all seems like an eternity ago because now you are in completely different mode. You’re getting the kids ready for a school day that includes soccer practice afterwards and you’re wondering how you can squeeze dinner into the equation. This is now the routine that dominates your life for weeks and months to come. That beach stuff which was in your car the day before is now packed away because regardless of how nice the weather is the weekends are filled with activities of a different kind. There’s also the other side. On Monday you needed a beach badge to step onto the sand and there were lifeguards to protect you if you swam in what’s been a turbulent ocean. That badge checker is back in school so you don’t have to worry about paying to get on the beach but that lifeguard is a school teacher so he or she is not there to help if someone gets in trouble. Another tell tale sign of this great transformation is the change in traffic patterns. Driving down Route 35 from Seaside Park to Point Pleasant Beach today is quite a bit easier and quicker than it was a week ago. However if you get behind school buses on some local road then your commute to work took twice as long as it did last week. Welcome to the great transformation….am I the only one consumed with this? Memorial Day is at the beginning…..Fourth of July marks the height and Labor Day closes the summer season at the Jersey Shore. The final holiday weekend was a bit of a disappointment for those with beach plans…a spectacular Saturday followed by a pair of so-so days. Seems somewhat fitting for a summer that started and ended on a bit of a downer. Businesses that were even close to 2008 have to be very happy with most reporting double digit losses from a year ago. While the weather is not expected to be very nice the next few days September is a great time of year for those who can take advantage of it. While beach towns will be quiet today the next few weekends feature off-season promotions like Mardi Gras and the Seafood Festival in Seaside Heights which are sure to bring people down to the shore if the weather cooperates. You talk about a great big letdown. Expanded Rutgers Stadium is packed with a record 53,700 fans for the season opener on national TV and the Scarlet Knights flame out on the banks of the old Raritan. Defending Big East champion Cincinnati cruises to a 47-15 victory that sent fans home early and I’m sure had viewers switching off from ESPN. The good news for the Knights is the next two weeks they play Howard and Florida International. Former Manchester Township High School and Rutgers standout Kevin Malast was cut by the Chicago Bears over the weekend. The free-agent rookie linebacker played very well during the pre-season but was a long shot to make the team. The shore area has more than its share of veteran Field Hockey coaches…as a matter of fact there are five who have been at it more than 30 years. Heading up that group is Toms River North’s Becky Miller, who begins her 41st season this week with a promising Mariner squad. Right behind her is Shore Regional’s record-breaking Nancy Williams, whose 720 wins include ten state titles. Wall’s Nancy Gross is getting ready for her 39th season, Madeline Dutton is back at Central for her 34th year and Southern’s Kathy Snyder is set for her 32nd season with the Rams with what could be one of her best teams. it justice. Many schedule their mornings around it, have altered the time they go to church or have breakfast and simply feel it’s part of their routine. charities and been a great source of information. Not to be overlooked it’s been very successful in all the ways a radio station would judge success. 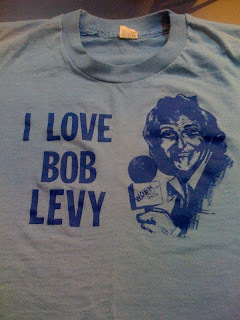 Its Bob Levy’s “Topic A” which will celebrate its 30th anniversary as a Sunday morning staple on 92.7 WOBM this Sunday from 7-11am. When Bob came up with the idea of hosting his own talk show neither he nor anyone else knew what to expect. He had been with the radio station since before it went on the air in 1968 and was well known in the community. 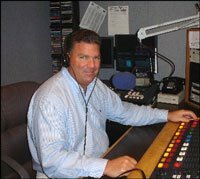 A real character with a flair for the dramatic, Bob had been on the air mostly as a sportscaster in the early years of WOBM. By his own admission he did and does not have a great voice but was well-read and highly opinionated and thus “Topic A” was born on the Sunday of Labor Day weekend in 1979. Originally a three-hour show from 8-11 it was later expanded to four hours because the phone lines were jammed and advertisers clamored to have their messages heard when most of Ocean County was listening…and they were listening. Since its inception “Topic A” has been a ratings bonanza, achieving numbers almost unheard of. That’s all because of Bob, who rarely misses a week and has always tried to schedule vacations and trips around the show. As for taking a day off when he was not feeling well….basically never! Of course there is also Bob’s take on himself when it comes to the show. “I don’t really care if they love me or hate me…as long as they don’t ignore me.” That has never been the case and I don’t expect it ever will be. Happy Anniversary Bob…..NOBODY DOES IT BETTER! Perfection is such a rarity that it stands out. An example would be a pitcher throwing a perfect game in baseball or a team going through a season without a loss or tie. In real life perfection is even more noteworthy which made the track record of the Seaside Heights Beach Patrol truly something to marvel at. Each summer the lifeguards who watch the water carry the burden of not only protecting swimmers but looking to extend a streak that goes back to previous generations…it appears tragically that the streak of perfection has ended. Until Wednesday there had never been a drowning in Seaside Heights while lifeguards were on duty, a record that was just days away from extending into another summer. However around lunchtime two teen-agers from Camden County got knocked over by a wave and caught in a rip. A lifeguard went out in the water and was able to rescue one but could not get the other and this morning the search continues for a 16-year old who it appears will be the first swimmer to lose his life on guarded beaches in the borough. What has made this record of perfection so noteworthy is more than maybe any other beach at the shore Seaside Heights deals with people who are daily visitors and not very familiar with the ocean. It has made the task of protecting those swimmers an even bigger challenge and on a beautiful September afternoon a streak that you hoped would never end finally did. Alas perfection is truly hard to find. Switching gears…. the Lakewood BlueClaws played their final regular season home game last night but FirstEnergy Park could host as many as four more games before this season is over. That’s because the BlueClaws are headed to the playoffs and will likely face the Kannapolis Intimidators next week in a best-of-3 first round series. That series will start on the road Wednesday night before coming to Lakewood on Friday night. On a related note tonight will be a special evening for BlueClaws General Manager Geoff Brown. He and his wife Susan will not only be the guests of the Phillies for their game against the Giants but Brown will receive a 2008 World Series championship ring made even more special by the fact that ex-BlueClaws Ryan Howard & Cole Hamels fueled Philly’s success. It’s a well deserved honor for an outstanding General Manager and an individual who has made a real impact in the community. In some towns today there may be a noticeable difference in traffic patterns because for the first time in more than two months school busses will be on the road. Yes for some parents today begins the most wonderful time of the year because their children are headed off to school. The area’s largest district, Toms River Regional opens with half-day sessions today, Thursday and Friday and then like most schools will start their regular schedule next Tuesday, the day after Labor Day. when kids are headed off or coming home from school and expect to find police seeking out drivers who don’t obey the speed limit. Also remember to look carefully before turning right on red because some traffic lights will have signs that limit the hours you can make that right turn when school is in session. Today is a bittersweet reminder for me of just how fast time does go. I remember well the excitement of walking my son and then my daughter to school on the first day of kindergarten. Later there would be the first day of Intermediate School and before long High School. My son just turned 24 last week so his school days are over and today my daughter will drive to high school to begin her senior year. I may not be holding her hand like 12 years ago but she is very much on my mind. Plus she better drive carefully and look for the little ones on their way to school…do you hear me Alex? For years and years I would listen to people with allergies complain about what they had to deal with and think “thank goodness it’s not me.” I really didn’t have much sympathy for them because I couldn’t relate at all to what it was they were experiencing. I would hear stories on the news about pollen and ragweed season and ignore them….after all it was all pretty much foreign to me. Then last spring I had what I thought was a cold for several weeks and when I finally went to the doctor I was told that it was probably allergies that were causing my symptoms. My initial reaction was, “that’s impossible…I don’t have allergies” because I assumed it was not something you all of sudden could develop at age 53. As usual I assumed wrong but again I did not think much of it when my allergy symptoms went away a short time later. It appears I have joined the ranks of the millions who suffer from seasonal allergies because all of a sudden over the weekend I started with sneezing, a bit of a runny nose, post-nasal drip, congestion….you get the picture. My first reaction was to think I had a cold but then I remember watching a news story just the other day in which they said this would be a rough season in New Jersey for ragweed because of all the rain we had during the summer. Then just yesterday I talked with a few people who felt pretty much the same as I did and said it was their allergies and now I have to accept the fact that I’m one of them. It’s expected to be a rough few weeks for us allergy sufferers with ragweed pollen season to last until the first frost which seems like a long way off. I guess I’ll start experimenting with the many over-the-counter medications that can help curb the symptoms because this is not a good time for me to feel under the weather with the start of high school football season next week. The only positive to come out of this is I am now very sympathetic to those of you who have been living with this for years. However I’m hopeful this is not something that I’ll have for the rest of my life as apparently some people who develop allergies in their later years say they may go away as fast as they arrive. I’d like to end up in that category sooner than later.